Does WP Fusion work on WordPress multisite? Yes, WP Fusion works on multisite WordPress installs. It is installed and configured at the site level, not the network level. How do I use ThriveCart with WP Fusion? Any external system that connects to your CRM, like ThriveCart or SamCart, can be used with WP Fusion. The principles are universal, but at right you can see an example workflow using Drip. The purchase in ThriveCart triggers the automation. Then a tag is applied to the new subscriber. This is the tag that you will use to unlock content in WordPress. 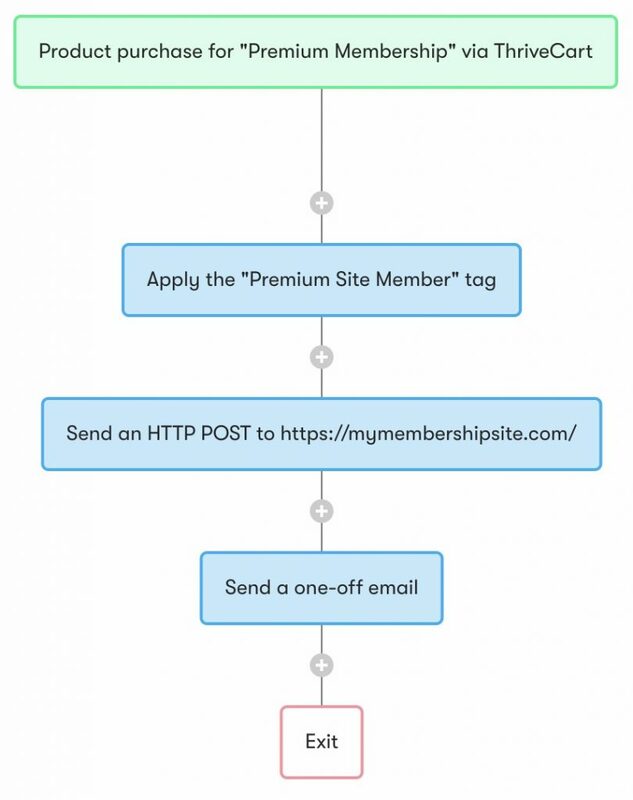 Or it can be used to trigger an automated enrollment in any of our supported membership or LMS plugins. After the tag is applied, a webhook is sent to your site. This tells WP Fusion to create a new WordPress user and load their tags. WP Fusion generates a password and stores it back in a custom field in Drip. The final step is sending a welcome email with the subscriber’s password included. When they log into your site, they’ll be able to access their content right away.